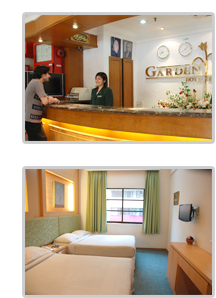 Three things set Garden City Hotel in Kuala Lumpur apart from other hotels in the city ? affordability, convenient location, and quality accommodation. Set in the midst of the city?s shopping district, this hotel seamlessly combines all the comforts of home with the modern amenities that other pricey hotels are known for. The rooms at Garden City Hotel exude cosy elegance and rustic charm, making them an excellent choice for both business and leisure travellers on short or extended stay. © 1996 - 2009 Garden City Hotel Sdn. Bhd. All rights reserved. Garden City Hotel Kuala Lumpur proprietary information.